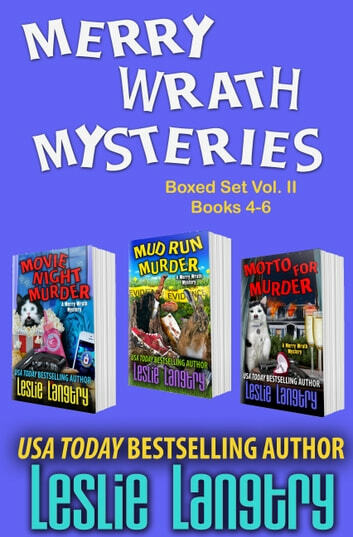 Ex-CIA Agent turned small town Girl Scout leader, Merry Wrath, thinks she has her hands full getting her troop ready for the Mud Run out at scout camp. But when she realizes some at the Agency thinks she's leaked classified intel, Merry is suddenly dodging bullets as she tried to clear her name...making it a Mud Run for her life! 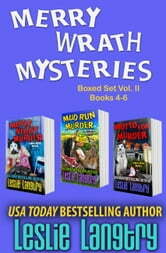 Ex-CIA Agent turned Girl Scout troop leader, Merry Wrath, is busy planning a wedding... until she witnesses a midnight murder next door. Or does she? Plagued by insomnia, she's not sure what she saw. But when strange incidents of arson start popping up all over Who’s There, Iowa and a mysterious woman vanishes, Merry begins to believe her neighbors are foreign spies and vows to find out. "Langtry gets the fun started from page one!"